Undoubtedly, there are a number of dastardly criminal masterminds out there, but serial offender Salim Shah isn't one them, having been daft enough to be labelled "stupid" by a judge. 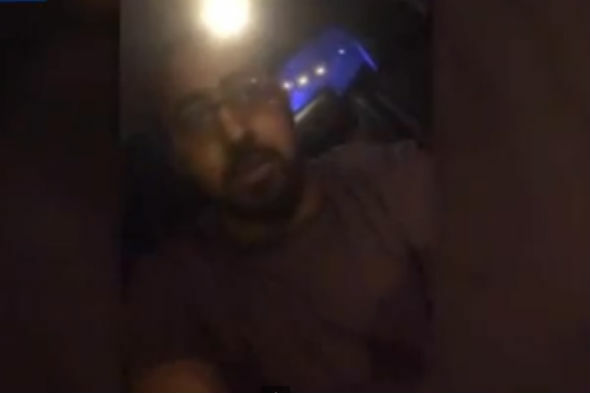 This 23-year-old led police on a high-speed chase while filming a goodbye selfie video on his phone for a female friend, reports the Mirror. The young man had already been disqualified from driving two months beforehand, and received a suspended jail sentence at the time. And it appears that his seduction skills are just as good as his driving. Shah says: "Listen, yeah. I love you, yeah. And I'm going to prison now." Calmly finding the positive in the situation he continues: "At least you know where I am now". He adds: "I'll probably be out in six months or something". Disproving Shah's prediction, he has since been handed a 16 month jail sentence at Burnley Crown Court in Lancashire, meaning that he will serve at least eight months. Shah's latest law breaking stint saw him involved in a 17-minute police pursuit after borrowing a friend's car and clocking up nearly 60mph in 30mph zones, tearing through three red lights, narrowly missing other vehicles and careering down a narrow alleyway.